IBM Corp. recently unveiled an upgrade of its WebSphere application server software that includes new features designed to protect applications from system downtime and boost efforts by developers to create service-oriented architectures. Version 6 of the WebSphere Application Server can detect system outages and ensure that transactions are handed off to another server to quickly restore processing operations and minimize the financial impact of downtime, said Bob Sutor, IBM’s director of WebSphere foundation software. “If these transactions don’t take place or are stalled in some way, someone is going to have to pay,” he said. Sutor added that instead of forcing end users to wait while a server is restarted, WebSphere can document what the disabled system was doing when it crashed and shift the transaction workload to a failover machine in the same data centre or at another location — all in less than 10 seconds. 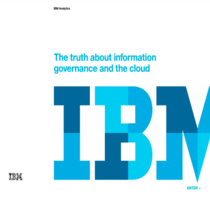 Walt Smith, chief architect in IT at a large financial institution, said the functionality developed by IBM would be very appealing if it works as promised. “We have many mission-critical transactions that could benefit from the ability to perform geographic fail-over without loss of in-flight data,” he said, referring to transactions that are being processed when a system problem arises. “The caveat would be that the technology would have to be bulletproof, because our customers would not tolerate any failure of the backup mechanism,” added Smith, who asked that his employer not be identified. With Version 6, IBM is also standardizing the WebSphere programming model across the entire product family and continuing a shift of the J2EE application server market toward differentiation through proprietary features, said Massimo Pezzini, an analyst at Gartner Inc. “Users should come to terms with this trend and evaluate the trade-off between greater functionality but risk of lock-in versus freedom of choice but higher development costs,” he said. The new release is due by year’s end. IBM said it will support several Web services standards and include a new messaging engine for exchanging event data between systems. Version 6 has a wizard-based, drag-and-drop user interface designed to automate common application development tasks. Application availability will also be a key focus in the next release of BEA Systems Inc.’s rival WebLogic application server, which is due next summer. WebLogic users will be able to deploy and test a new version of a Web service on a production system without having to shut down the existing application, according to BEA officials. They added that users will be able to apply software patches to servers without bringing down applications that are running on a cluster of systems.